This work was composed as a musical counterpart to a story specially written by world-famous author Jostein Gaarder, and has been hailed as “a fascinating composition to return to over and over again” (MusicWeb International). Born in Oslo in 1973, Henning studied with Camilla Wicks and Emanuel Hurwitz. 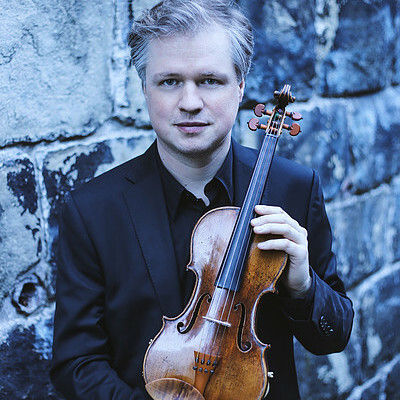 He is a recipient of Norway’s prestigious Grieg Prize and in 2007 was awarded the Sibelius Prize for his interpretations and recording of Sibelius’ music around the world. Henning is a Professor at the Barratt Due music conservatoire in Oslo, where he play/directs the Oslo Camerata. As from September 2015, he is International Chair in Violin at the Royal Northern College of Music in Manchester.